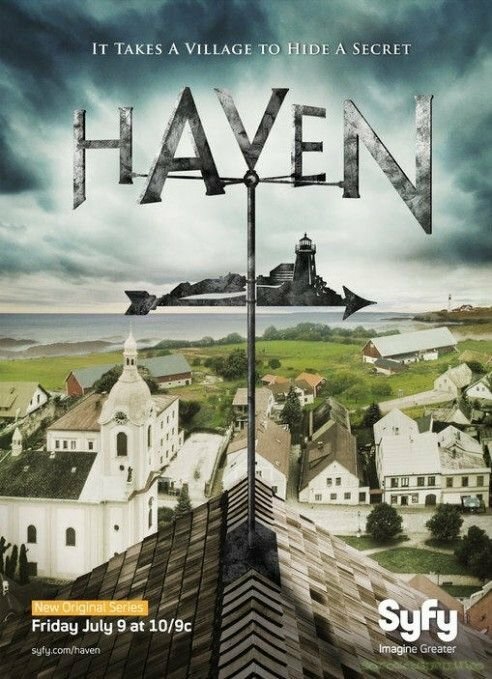 This week at SpockSoc: Haven, the second half of season two. Parker begins to realise that her arrival in Haven may have been planned and that her name and even her memories may not be her own. As the series progresses, she learns more about the mystery of both Haven and her true identity. She and her partner Nathan Wuornos find themselves frequently facing problems caused by both the effects of the Troubles, as well as town folk who take more drastic measures against the Troubled. Screening is same Spock time, same Spock place – 5pm Friday in ChemSci M18. Also, our new t-shirts have arrived, yay! We haven’t quite nailed down a price for them yet, but you’ll be able to buy them starting this Friday. Come along and you can see me modelling one of them. Woo!